Bacon. It makes everything better, especially when it’s prepared in the Contact Roaster! This recipe has a variety of delicious apps to wrap in bacon, from seafood to fruit. Just about anything you wrap up will taste great, so bring all your favorites! 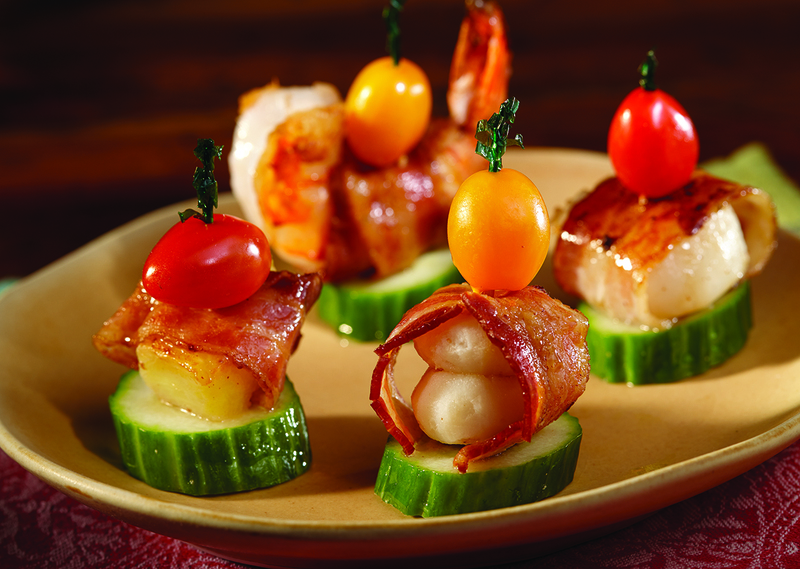 Wrap bacon around your choice of shrimp, scallops, water chestnuts or pineapple. Secure with toothpicks. Preheat the George Foreman® Contact Roaster. Using tongs, carefully place wrapped appetizers directly in the roaster. Set timer and cook 10 minutes. Turn appetizers over and cook an additional 5 to 10 minutes, or until heated through and bacon is browned. Serve immediately.